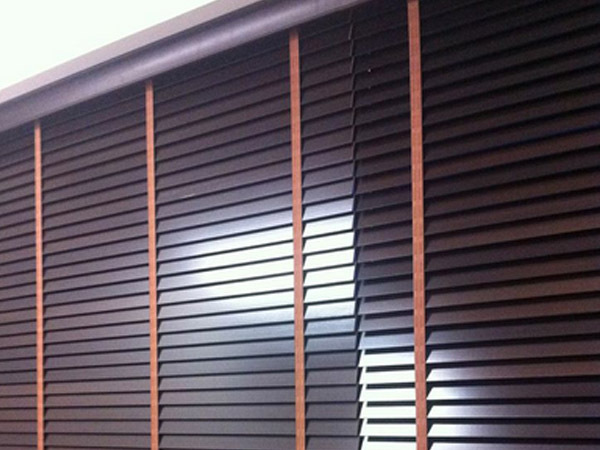 These edgy venetian blinds made from quality aluminium in our Brisbane factory are an outstanding addition to any room. Fully customisable to meet your precise needs and requirements, with our venetians you can choose the slat colours and sizes, along with the mount and control position. This provides you with the opportunity to create an attractive interior environment in any residential or commercial space, whether chic and contemporary or heritage and traditional. 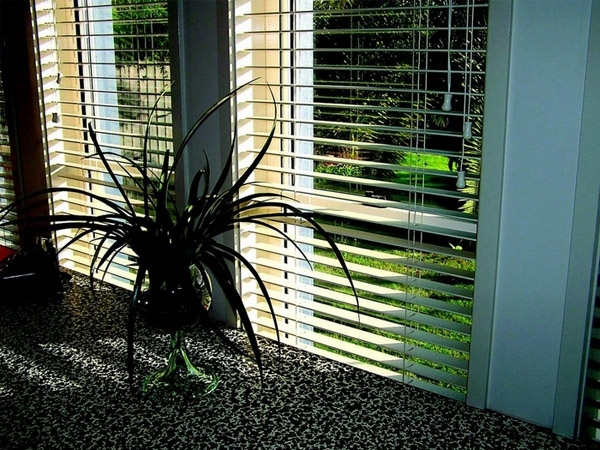 Applauded by the Australian Design Council and designed with the local climate and weather conditions in mind, these premium blinds are manufactured using an exclusive crimping process that presses into each blade in line with the control cords. This process allows the venetians to completely exclude external light and provide absolute privacy, with the slats easily adjusted with a simple twist to allow light in during the day and provide complete blocking at night. For made-to-measure blinds, please contact us. 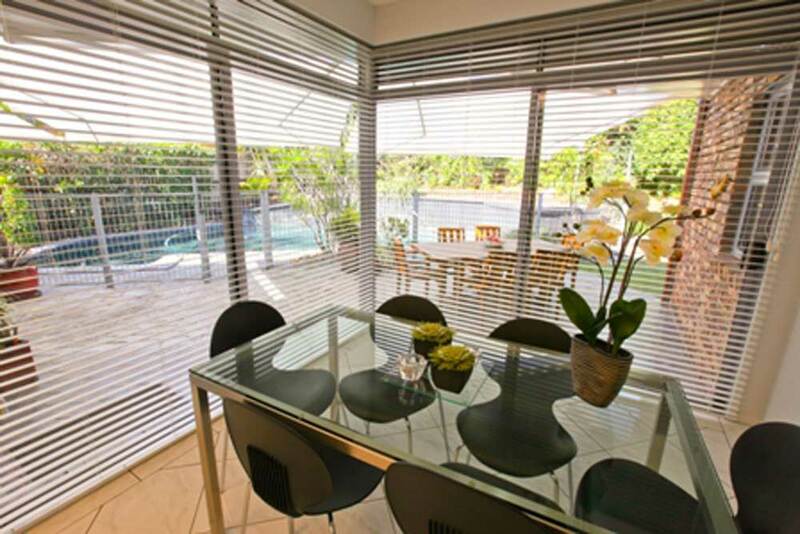 Our venetian blinds, crafted by our skilled Brisbane manufacturing team and displayed at our Aspley and Maroochydore (Sunshine Coast) showrooms, provide timeless sophistication and look fantastic in all interior environments. With our extensive colour selection, such as white, alabaster, cedar and rosewood, you are certain to find the right shade to go with your home’s current decor and colour scheme. Perfect for bedrooms, living and dining rooms, home offices, studios and all other interior environments, Image Blinds’ venetians blinds are fully customisable, enabling you to perfectly complement your furnishings and decor. 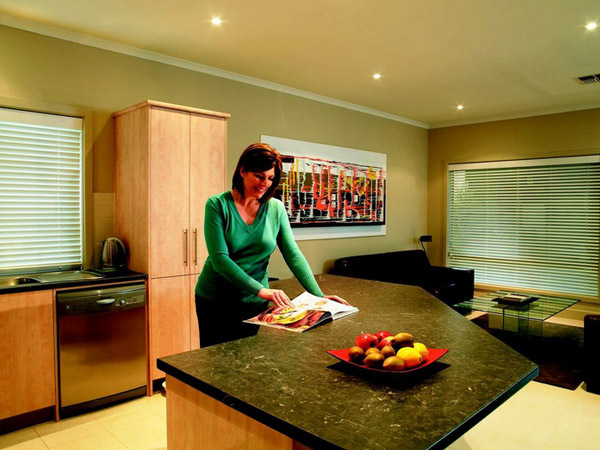 You can select the exact sizes and specifications you require here on our online store, or contact us now to arrange for one of our experienced consultants to visit your Brisbane home, discuss your preferences, and measure your windows for you. To help you make the right decisions about your new venetians, fabric and slat samples can be ordered online for just $1. If you’re located outside of our broad service area which covers most of Southeast Queensland, this is a great way to make confident decisions about your new venetian blinds. Brisbane and Sunshine Coast customers also have the option of visiting us at our Aspley and Maroochydore showrooms where they can view our complete fabric and slat selection in person. 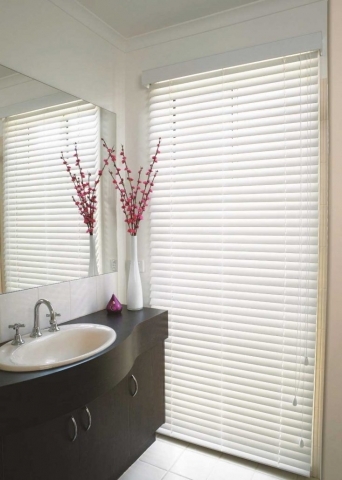 If you have any questions regarding our wide range of door and window treatment products, don’t hesitate to contact our venetian blind experts by calling Image Blinds on 1300 657 100. With over 30 years’ valuable experience, we’ve built a reputation as industry experts offering an outstanding end-to-end service that makes sure all your requirements are met — we’d love to help you select the perfect venetian blinds for your home!